When it comes to owning beautifully designed and good quality furniture, you can certainly find what you need at authenTEAK is no stranger to many of us as it is renowned for a myriad of qualities such as its durability, quality and exotic grains. 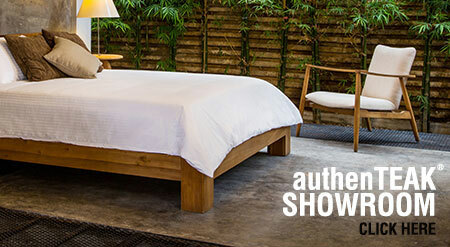 Furniture retail chain store authenTEAK brings to you a wide range of teak furniture for the living and dining room, bedroom, office, bathroom, outdoors plus accessories like lamps and more. Amongst these sets, you can have many varieties in terms of colour, size, design and concept to complement your home. Designs and concepts have always been important to authenTEAK. 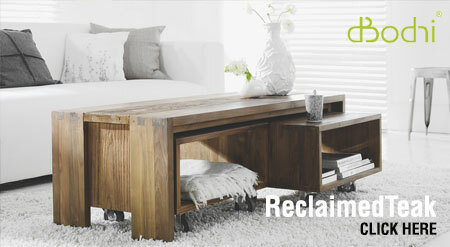 You will find many appealing pieces of furniture in modern and minimalist styles. Also the choice of colours available (either in natural or darker stain) will help you to blend the products seamlessly into your chosen concept for your home's interior design. There are two types of teakwood used for the production of authenTEAK furniture. The first being the plantation wood aged 30 years and the second is reclaimed wood aged above 50 years. The former is only sourced from the government's forestry agent while the latter is from recycled sources certified by the Forest Stewardship Council (FSC). Also, production is certified with ISO 9001. 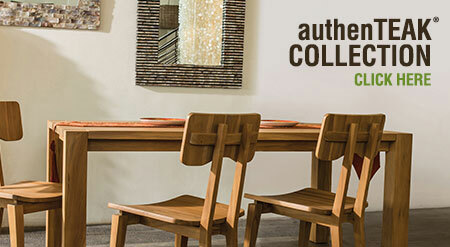 Their stringent quality control ensures that every furniture is made to last and withstand all types of weather. Hence it can be shipped to any part of the world and remain as it is - in original good condition. authenTEAK brings teak furniture into the next era with its wide range of appealing designs, high standard qualities and competitive prices. Their motto? Everyone should only own quality furniture at home. © 2019 authenTEAK (Malaysia). All Rights Reserved.